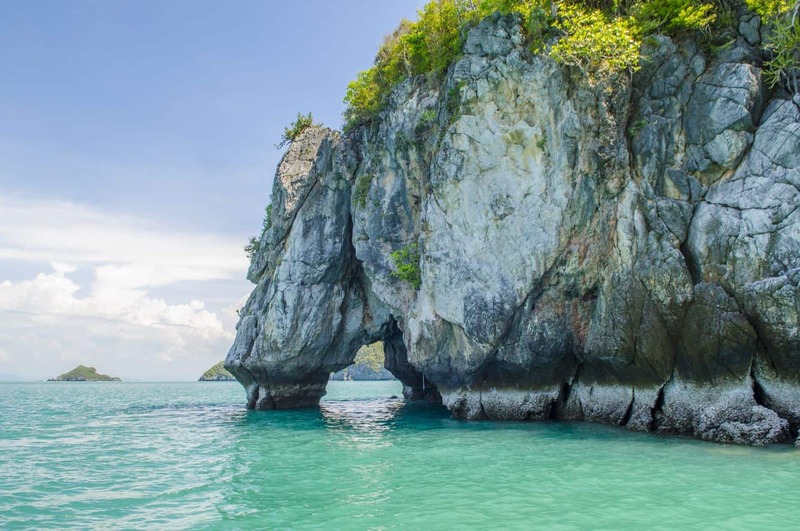 The Ang Thong National Marine Park is one of the most popular attractions near Koh Samui. This stunning oasis comprises of 42 islands, each featuring something unique. You will see limestone massifs, breathtaking coastlines and verdant tropical rainforests. 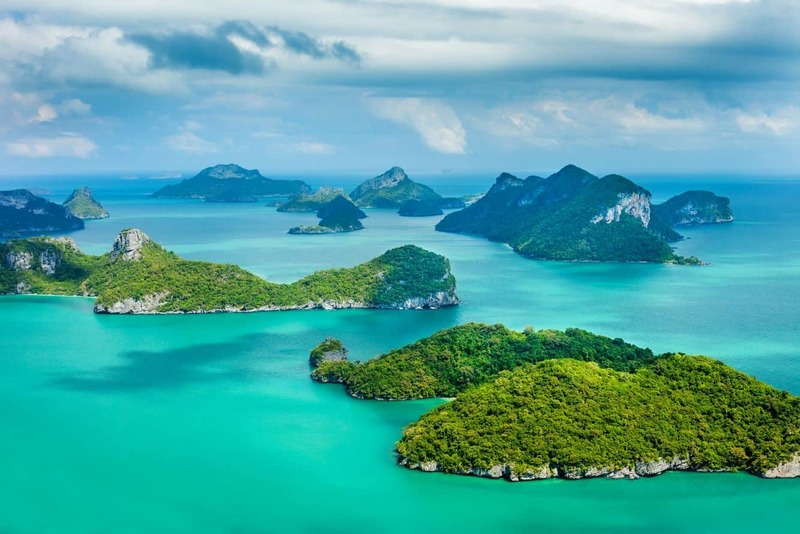 The Ang Thong Marine Park is nestled towards the north and west of Koh Samui, Thailand. 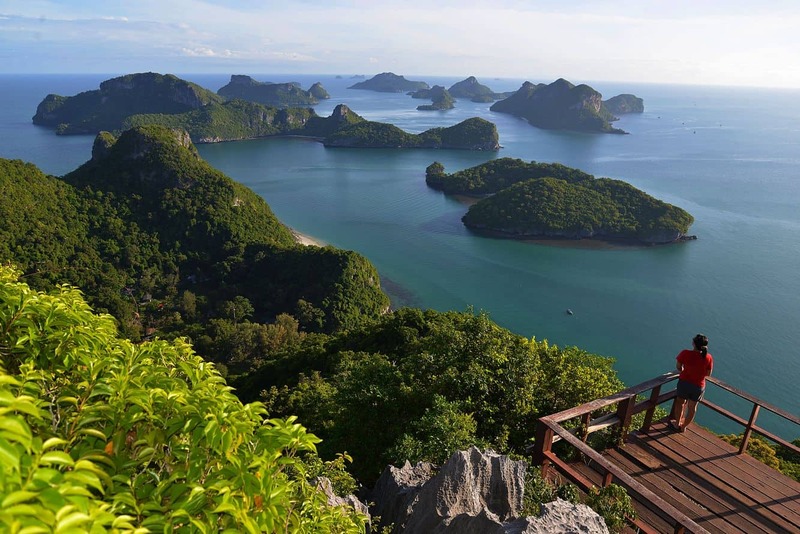 The Ang Thong islands appear like dramatic walls; rising from the sea when viewed from the air. This marine park is famous for its beaches and many small coves. 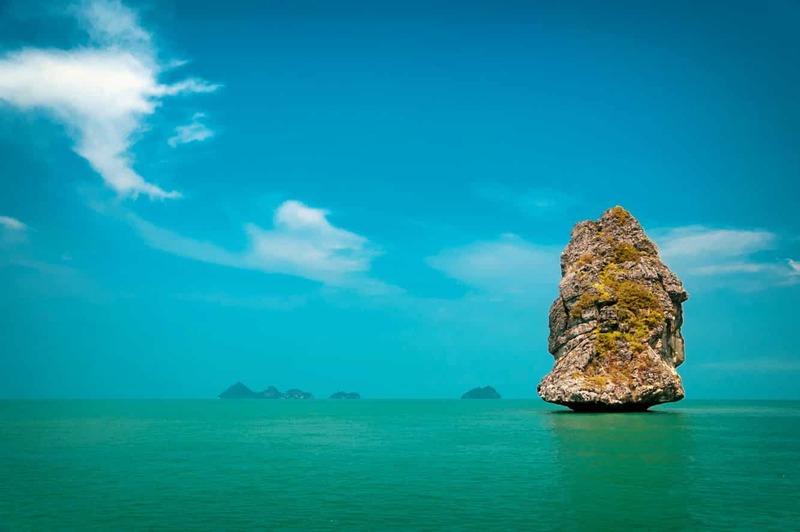 Visitors to Koh Samui often come here for day trips in order to kayak, snorkel, swim and scuba. The best time to visit this beautiful area of Thailand is from late March to October; however, when the weather is favourable, visitors may visit at any time of the year. The weather in Mu Ko Ang Thong National Park is strongly influenced by monsoons during November and December; therefore there are big waves and heavy rain. With the weather being humid and hot during February and April, the sea is calm and suitable for sailing. 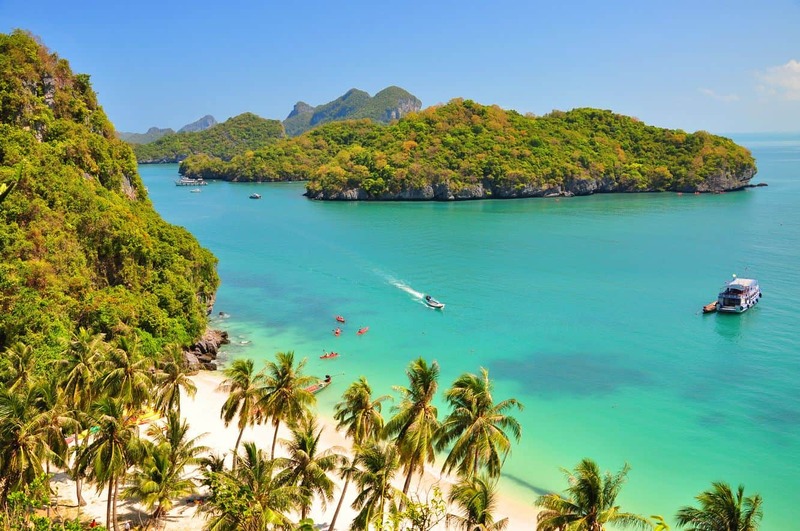 The park’s most popular attractions include Koh Mae, an extraordinary beach and Thale Nai; an emerald saltwater lake famous for its serene setting and panoramic views. All around this marine park, you will notice a large variety of wildlife. Some of the inhabiting species include the famous Asian long tailed monkey, reef egrets, hair-nosed otters, white-bellied sea eagles, tortoises, ashy drongos, sea turtles, lizards and large pythons. Click the link below to book one of these fabulous tours today! Is there any tour from Koh Tao to the Ang Thong National park? I will stay 1 night at Koh Tao, so I don’t know if I should stay there first and the next day go to the Park, or visit the Park first? 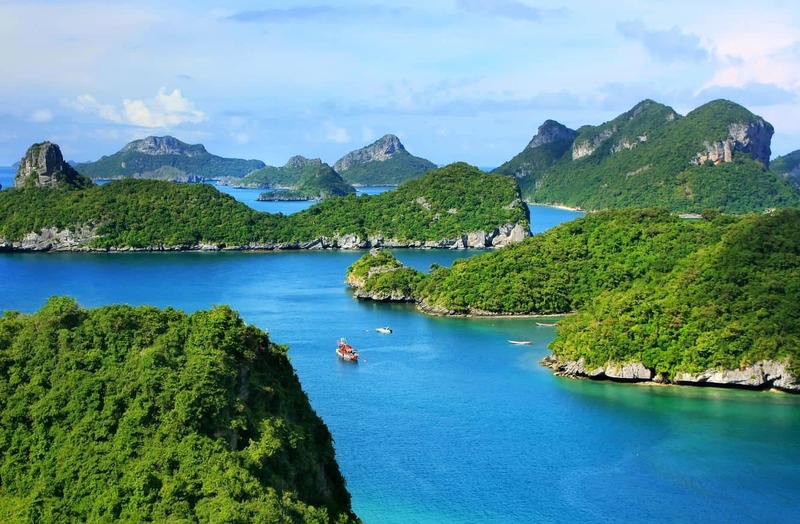 I have read a few posts on Trip Advisor and it appears that most tours to the Ang Thong National Marine Park start from either Koh Samui or Koh Phangan. 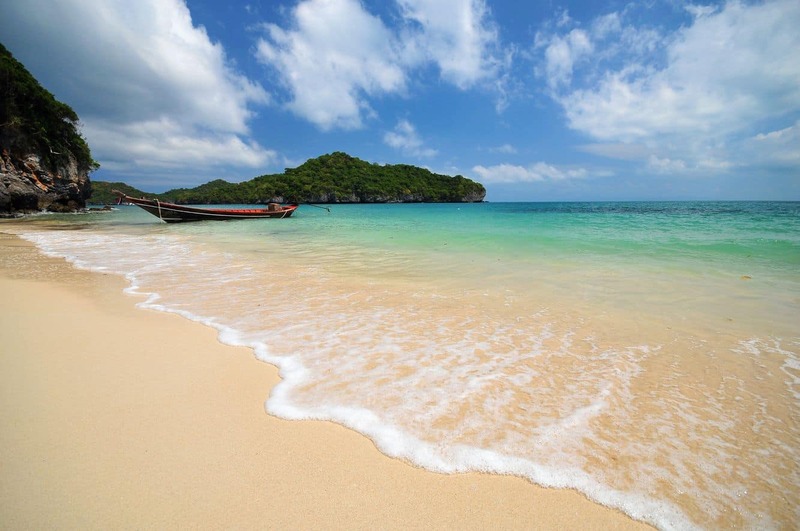 Having said that, there are possibly tours from Koh Tao, but the information is very limited. As with most things in Thailand, it is almost always going to be cheaper to book stuff in person.